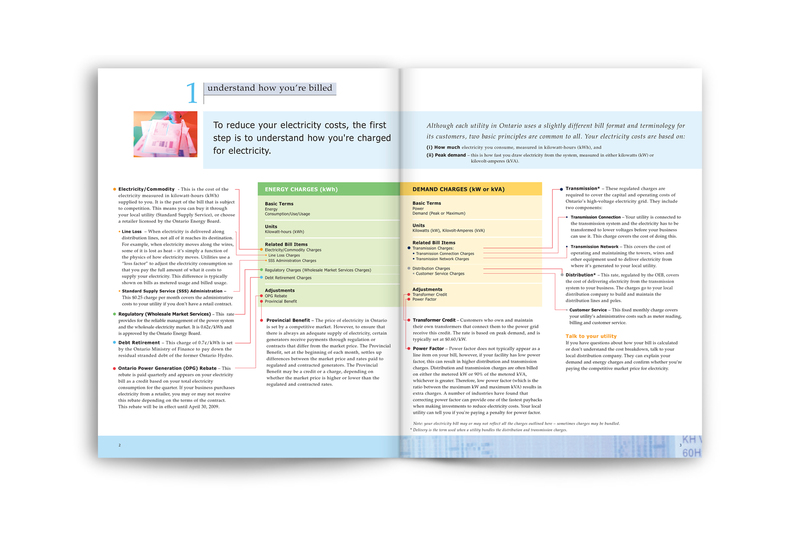 Surprised as to how the quantity of information was clearly presented and organized, the client was very happy with the end result. 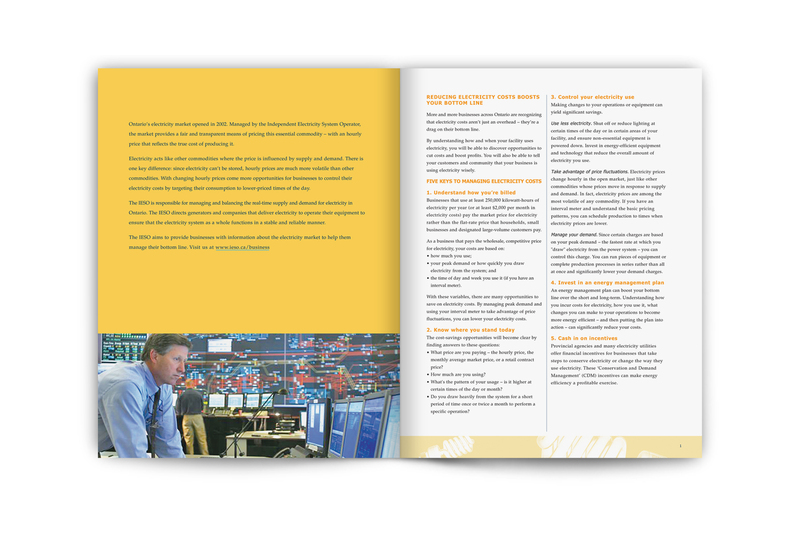 The design was used as a template by IESO's internal communications team to make content updates to the guide. The Independent Electricity System Operator (IESO) manages the power system in the Province of Ontario (Source: IESO). It manages it for residential and business clients. 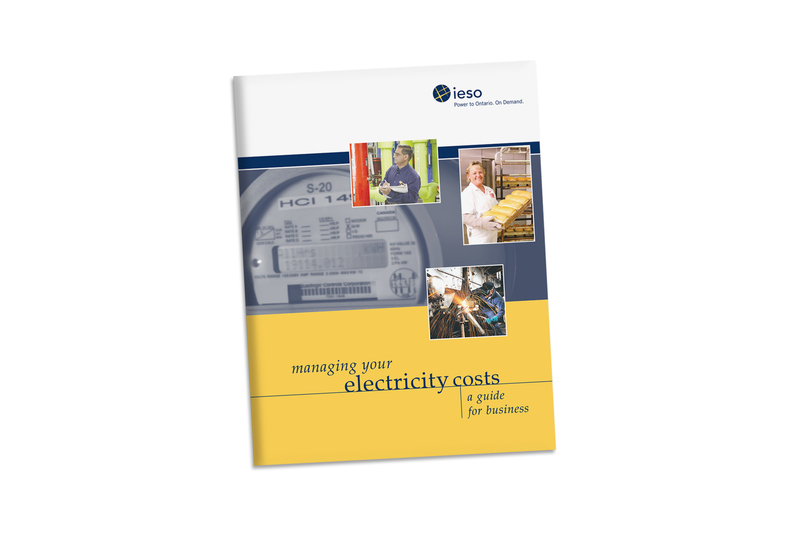 The IESO commissioned a design and production of a guide for businesses, informing how they can manage their electricity use. The initial brief from the client stated that the design would need to accommodate a large quantity of copy. 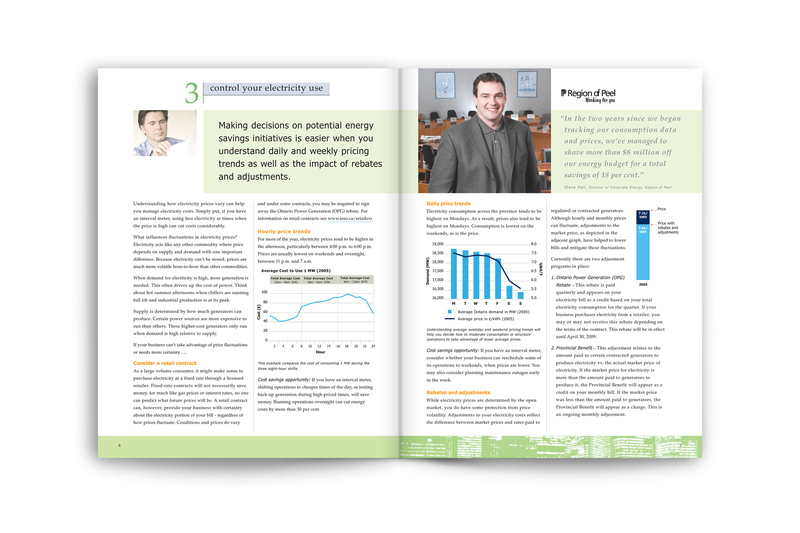 This was understandable, as the topic of electricity, its delivery and its pricing, can at times be confusing. In this context, the content dictated the design. But I met the challenge by dividing the information into clearly numbered sections. I used lowercase for the main titles to give the guide a friendlier and more approachable look. A pastel colour palette was selected in order to meet the client's request that the presentation of the information be given priority.